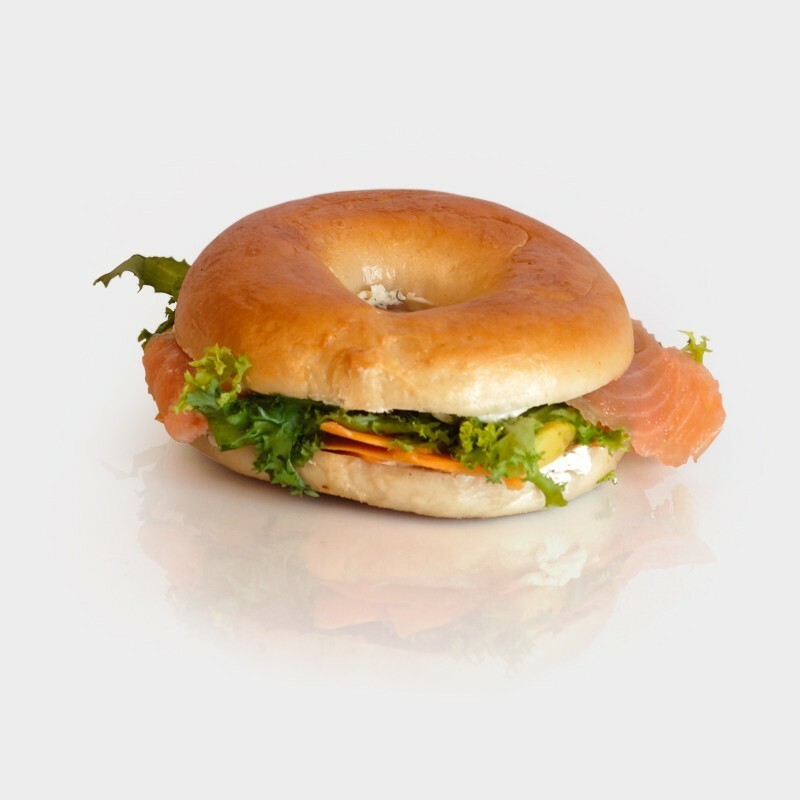 Composition of the turkey Bagel: Bagel (wheat flour), turkey, avocado, natural cheese (cream cheese), cream hors d'oeuvre, salade, carrot. 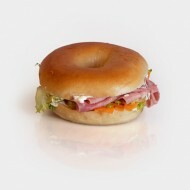 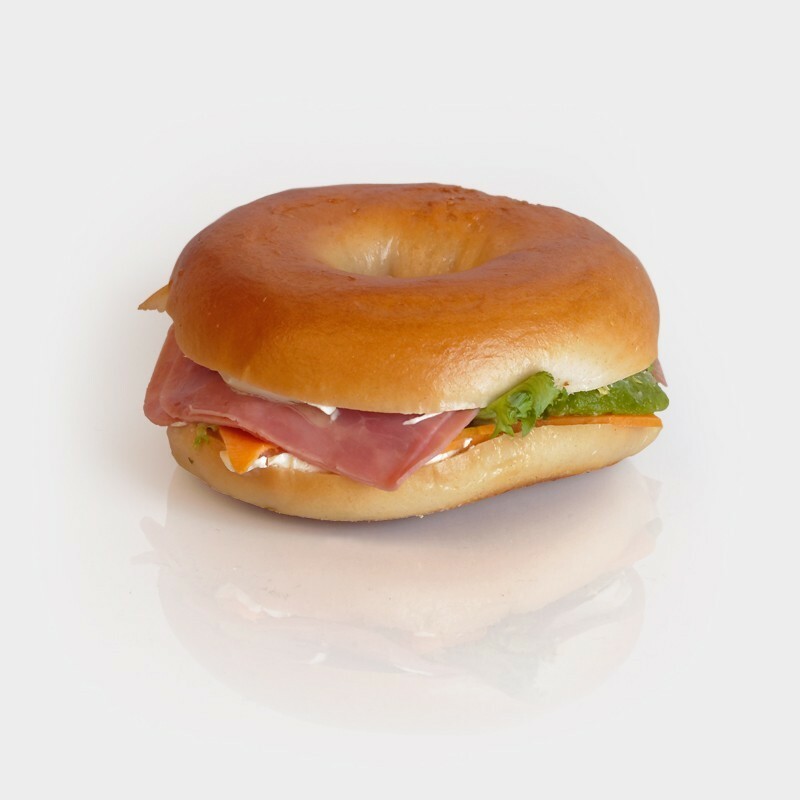 Composition of the ham Bagel: Bagel (wheat flour), natural cheese (cream cheese), ham, salade, carrot, pickles. Composition of the salmon Bagel: Bagel (wheat flour), cheese with herbs (cream cheese), smoked salmon, avocado, salade, dill.